Today, we shed light on how to improve the default shopping experience of Magento 2 related to product pages. Of course, it is possible to select an already existing Magento 2 theme that offers better product and category pages, but if you create a completely unique page based on various modules, we have something interesting for you. 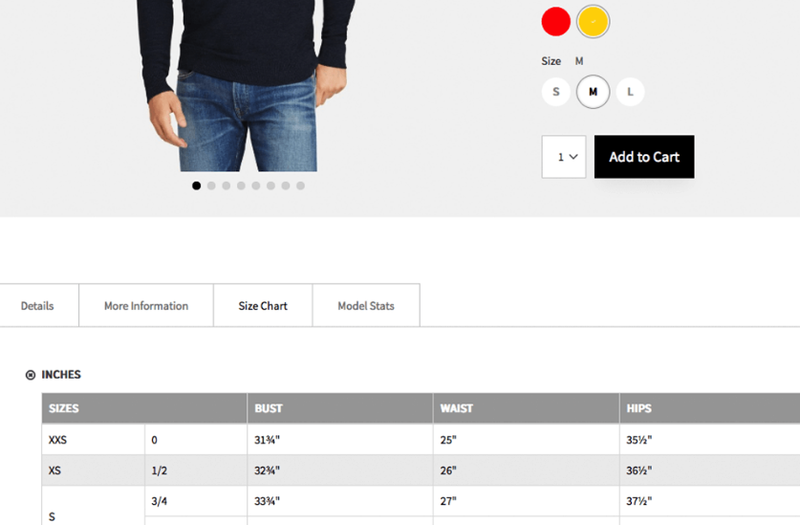 Meet the Weltpixel Smart Product Tabs Magento 2 extension – a tool that completely revamps the default Magento 2 product detail page layout. Similar tools: Product Tabs by Swissuplabs. The module adds a tab that allows displaying attribute-based custom blocks. Thus, you essentially improve the existing browsing experience, making customers more satisfied with your digital storefront. The ability to display custom content on Magento 2 product pages doesn’t require any knowledge of code. You only have to install the extension and give it a go. 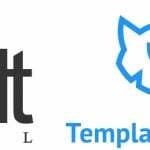 Unfortunately, the platform sets lots of restrictions on the customization of the Magento 2 product page templates, but third-party modules are always ready to help you, and the Weltpixel Smart Product Tabs Magento 2 extension is not an exception. The tool is entirely based on the usage of product attributes. 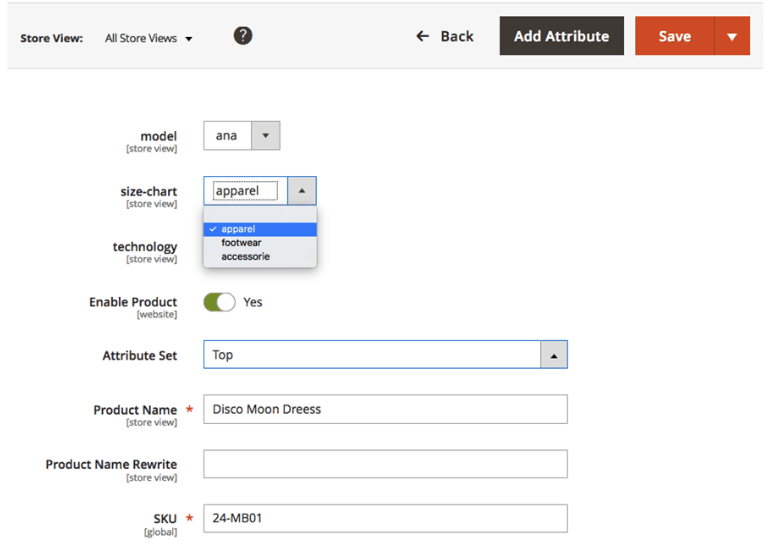 By leveraging them, you can configure the content of your Magento 2 product tabs as much as you need. New tabs can be created right in the admin. Set visibility conditions, and when they are met a corresponding tab will be displayed. 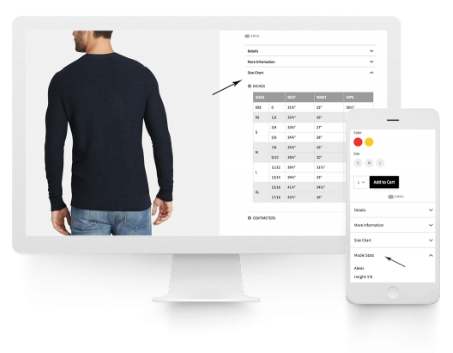 As a result, new product tabs will be displayed only on where you want to display them: on certain product pages on the basis of material, size, manufacturer (and even country of manufacturer), price, certain product features, etc. Unfortunately, the extension doesn’t support display based on customer groups, but we sincerely hope that this is only a matter of time. 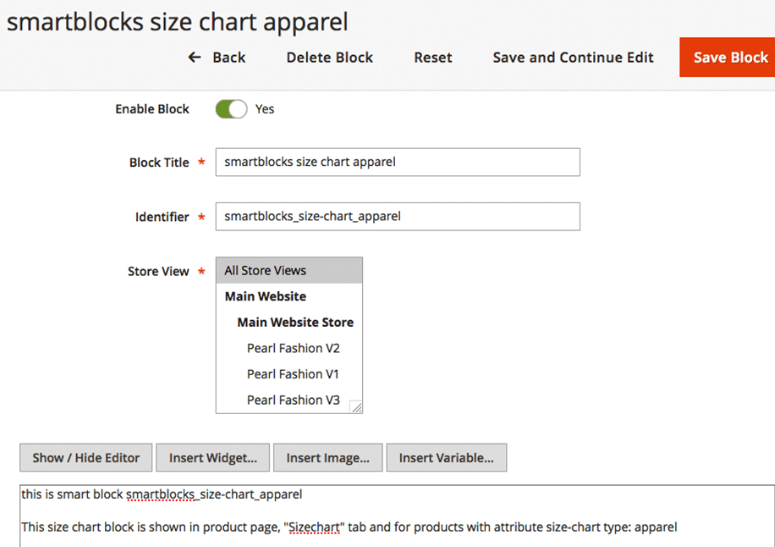 Now, let’s see how to use the Weltpixel Smart Product Tabs Magento 2 module. 1.1. Note that the extension works with dropdown attributes only. Thus, you should create such attributes under Stores -> Attributes -> Products. 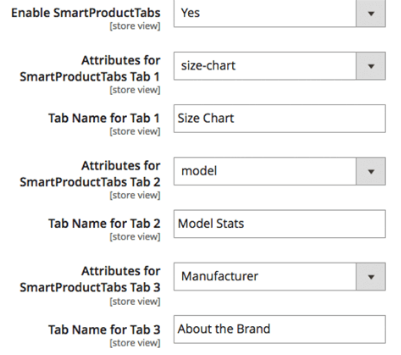 Add necessary options to use them for product tabs. 2.1. Next, visit the configuration page: Stores -> Settings -> Configuration -> Weltpixel -> Smart Product Tabs. 2.2. Here, you should enable the extension. 2.3. Next, to create a stunning Magento 2 product page template, insert up to 3 new tabs. 2.4. Choose attributes for each tab to display relevant content. 3.1. Under Content -> Block, create blocks for newly created attributes. 3.2. Note that there is the only possible structure of the block identifier: smartproducttabs_attributecode_option, where attributecode should be replaced with a certain attribute code (black, material, manufacturer, etc) and option – with appropriate attribute option (black, cotton, samsung, etc). 3.3. Note that it is necessary to place underscore between syntax elements. 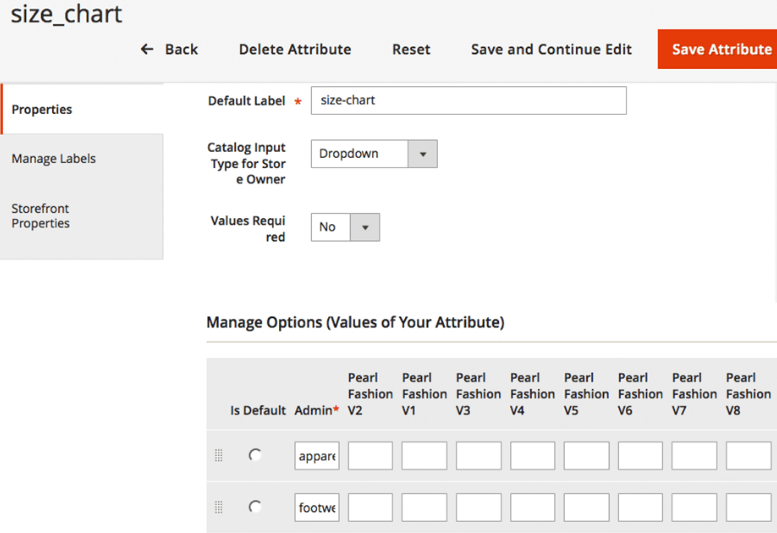 And don’t replace the smartproducttabs prefix. 4.1. Go to Products -> Catalog and select a product. 4.2. Next, check whether you’ve configured everything correctly. If yes, proceed to the next step. If no, return to the beginning of this step-by-step Magento 2 guide. 5.1. 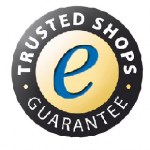 The final result can be checked on the store frontend. If something went wrong, return to the beginning of the tutorial and try to figure out the mistake.